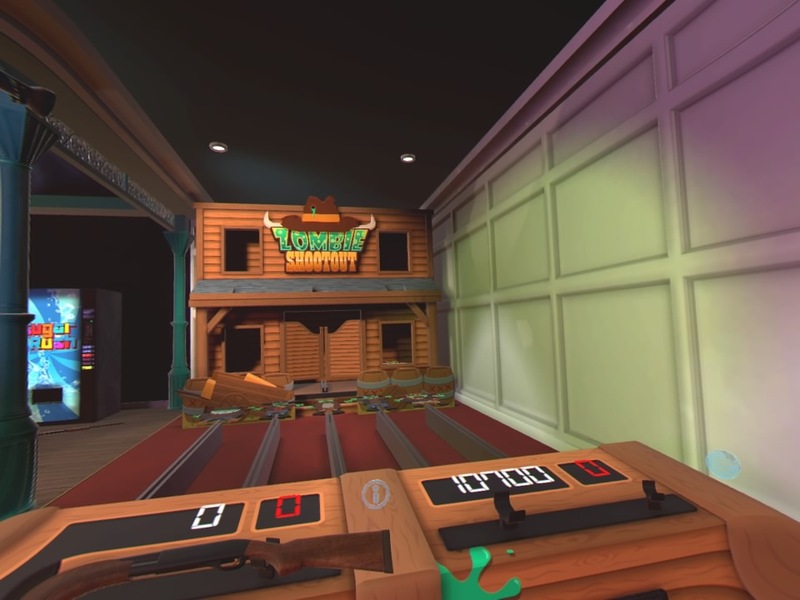 If there’s one thing that we need more of in VR then it’s the casual multiplayer games, right? 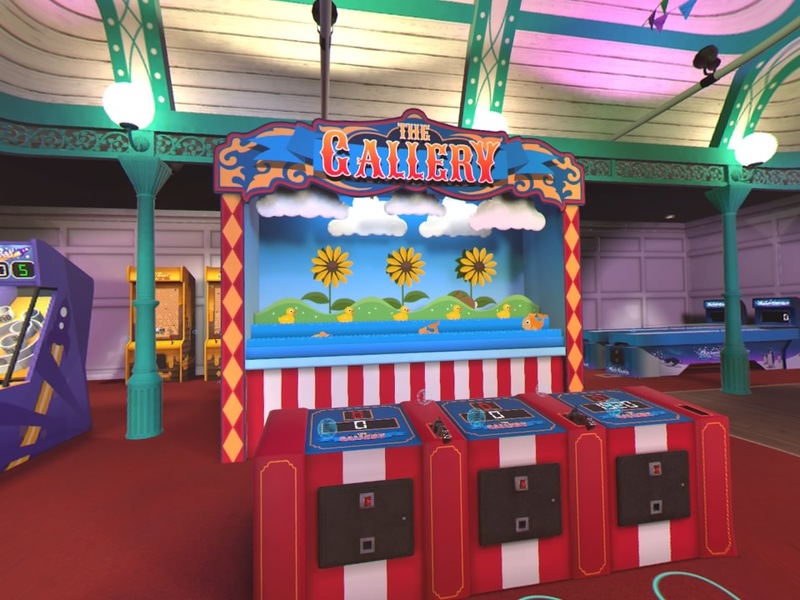 Carnival Games came out early in the PSVR cycle and managed to get me hyped at least, but for some reason, it just felt unfinished and a bit like a rush job and some of the events in it was nothing short of unplayable without a lot of tries and fail techniques. 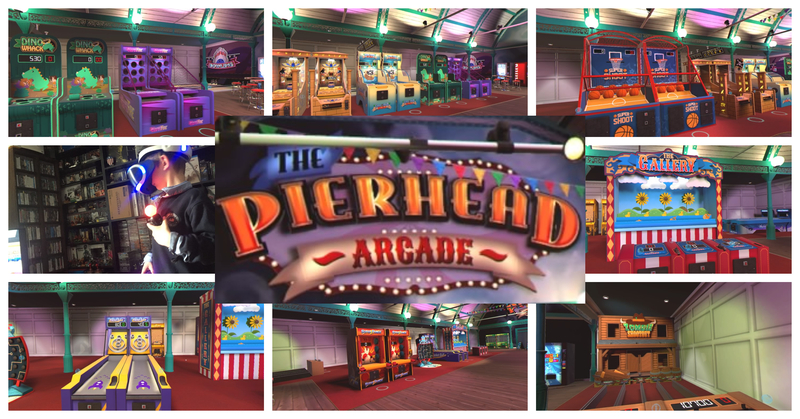 A year or so later and then this little thing called The Pierhead Arcade popped up unannounced on the PS Store, instant buy is what most said and we haven’t heard anything since then… at least not on the forums most of us visit. 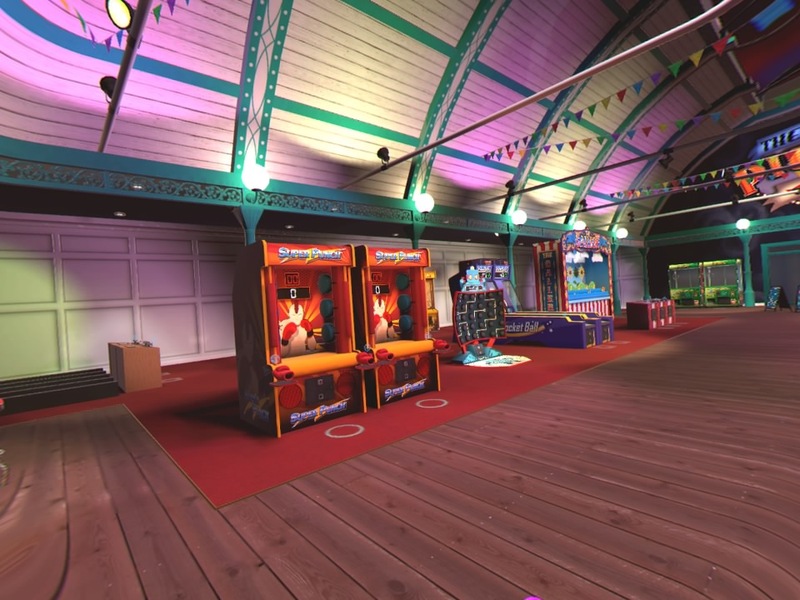 The goal of the game is to capture the essence of a proper fun fair arcade and as soon as you enter the game you will be met with a lot of vending machines and mini-games that most of you will have seen and tried many times before although never in VR most likely. 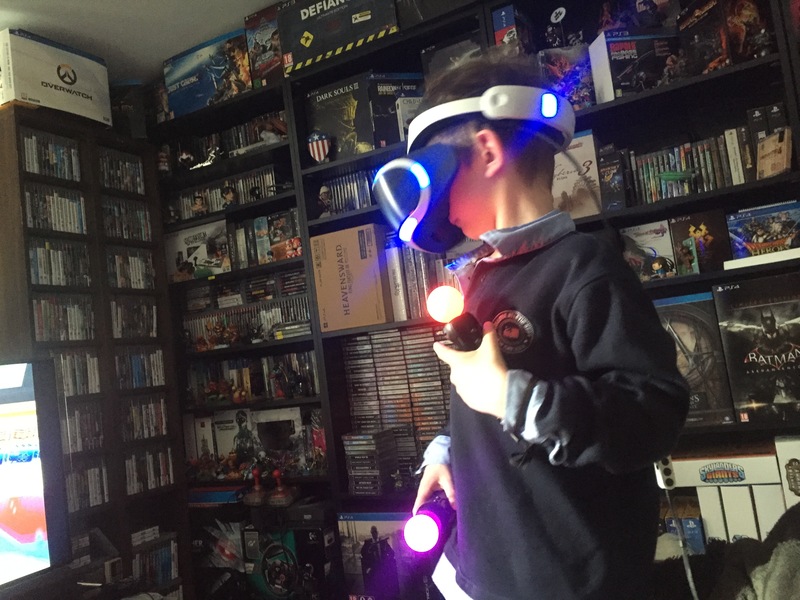 The first thing that hits you is most likely how clean and simple everything looks and yes that might destroy the immersion a bit as well as lower the fun factor a bit for some, but as many VR games know by now is that it ain’t always about the graphics and more a composition of the whole experience and while this is a PSMOVE game it is still miles better than Carnival Games and that Sports Bar 2.0 VR game. 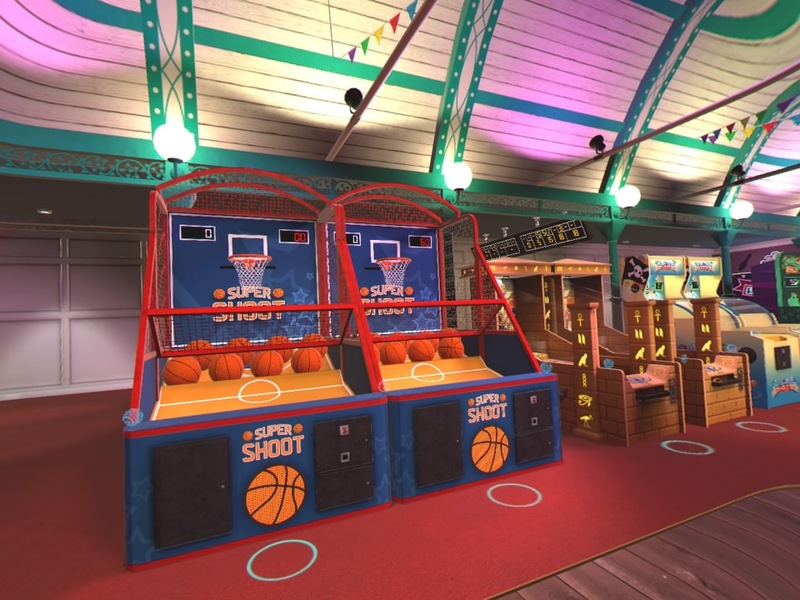 The controls in Sports Bar ruined the game totally and Carnival Games just had some very odd challenges and a generally bad trophy list, The Pierhead Arcade got good controls and a very good trophy list. 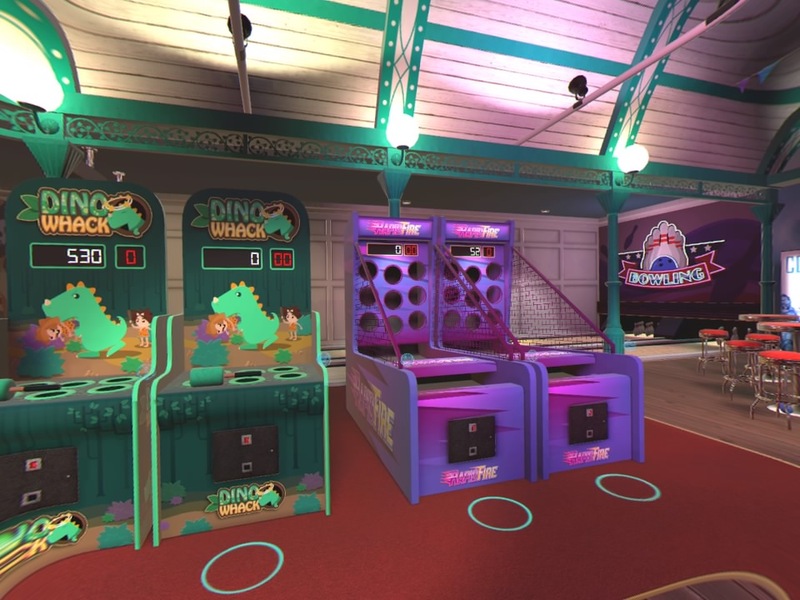 It may look a bit stale in the screenshot here but in VR this looks and feels really good and yes it does feel like a proper shooting gallery at a real Arcade thanks to the sound and VR oriented nature. 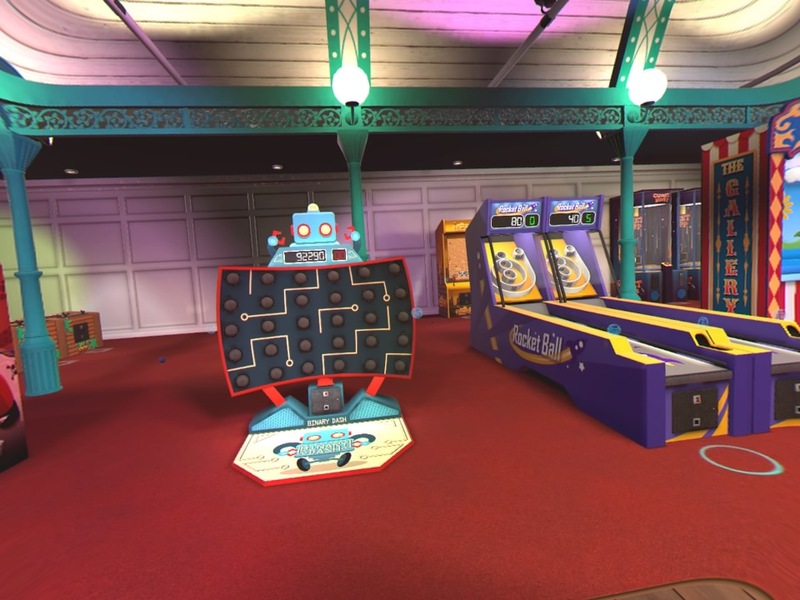 You have to interact with the machines like if they were the real deal, you will have to crouch to reach the coin slot and it won’t work unless you insert a coin, fiddly at first but it makes sense why you haven’t got 2 meters long arms and what not. 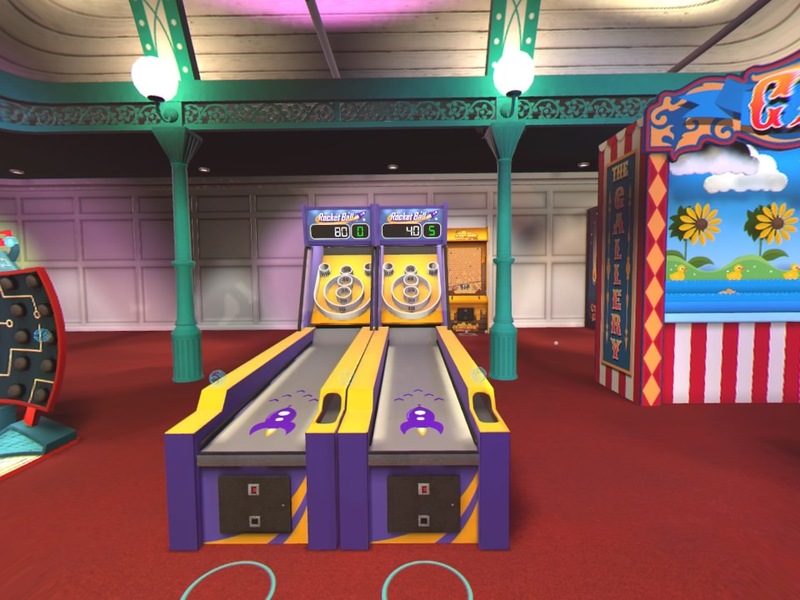 Skeeball is fun in real life but it is also very fun in VR if it’s done well, you have to move around and you have to have trained up a skill, in other words, it is just like the real deal and while there are times that you just wanted to smash the PSMOVE controller in the wall due to ill random tracking moments, it is still bloody brilliant. 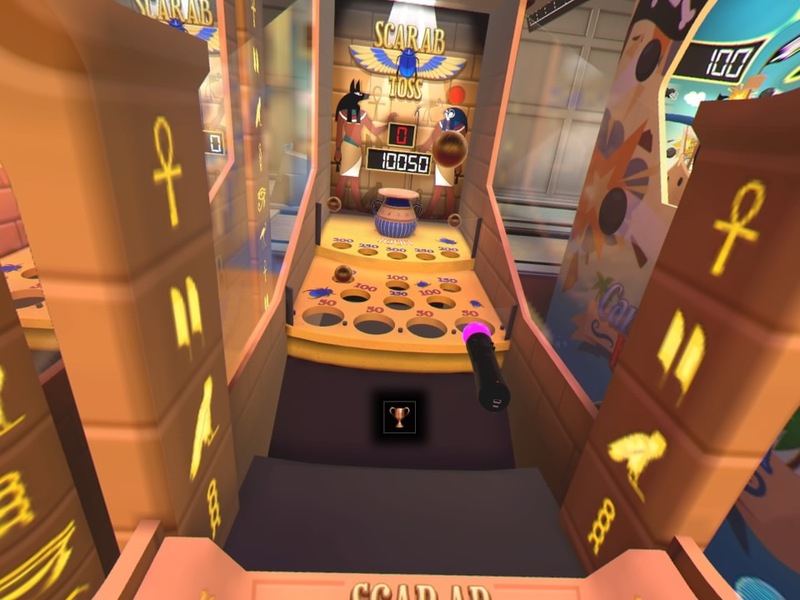 You have to move around the arcade yourself and the only way to do so is by teleporting (sob) around with some tacky yet effective PSMove controllers. It works ok enough and by far the best control system so far for a game like this but one must admit that this game would have been much better with Dualshock controllers and smooth movement or whatever. You will end up by teleporting back and forth a bit before finding the perfect spot in front of one of the vending machines or cabinets and this is the only bad thing there is to say about the whole experience. It does look empty in here, right? 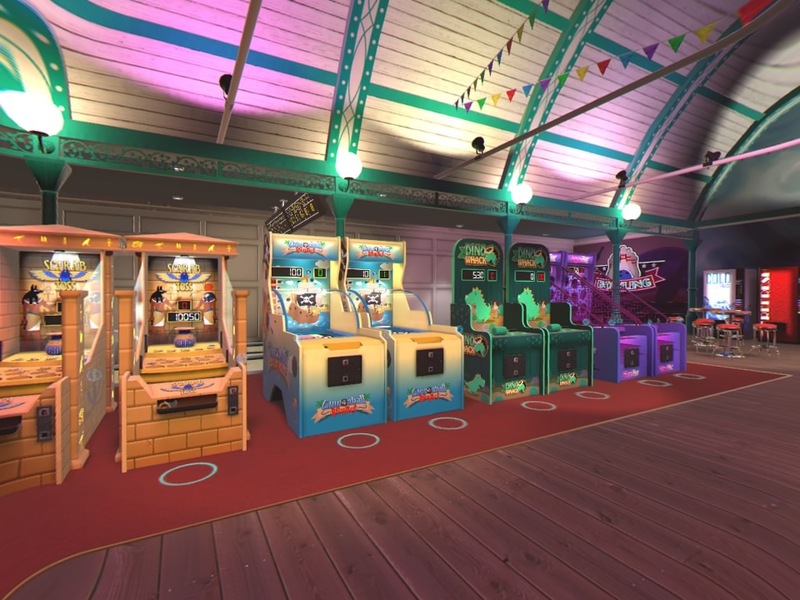 well, it sort of is but there are loads of machines (15+) and everything does feel about right due to the control system, if the machines had been nearer to each other then it most likely would have been a mess to play and move around. Zombie Shootout is another shooting gallery but this one got a nice reloading mechanism and the targets move towards you, brilliant fun. Scarab toss is one of my favourites as it requires precision and luck, works really good and everything feels natural and emulates the feeling of the real thing pretty good. 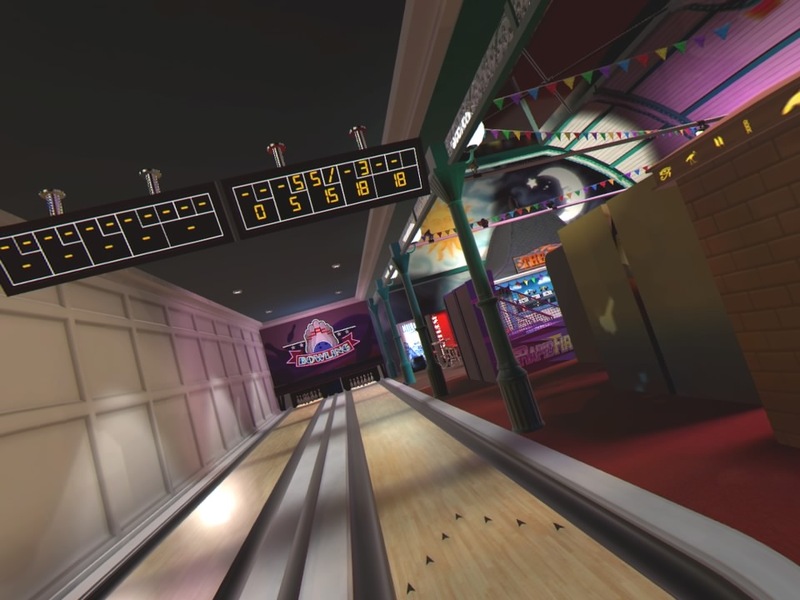 This is the first time i try Bowling in VR and this is the worst part of the game, it feels broken and unprecise which is odd as the rest of the game feels so good. Dear developer (Mechabit): PLEASE FIX THE BOWLING! 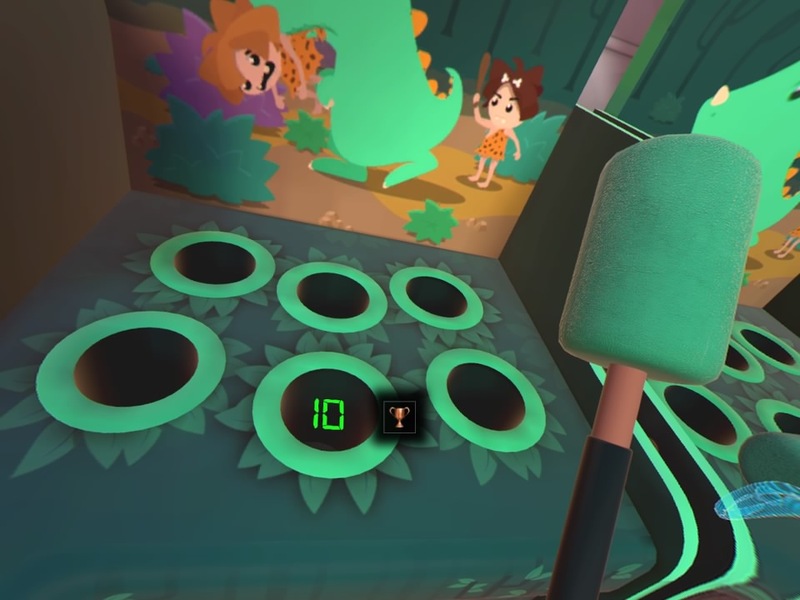 Whack a mole (Dino Whack) works really good in the game too, it does feel a bit odd to play this without a heavy hammer that is chained to the table but one has to admit that it works really good and felt like the real thing after a while. 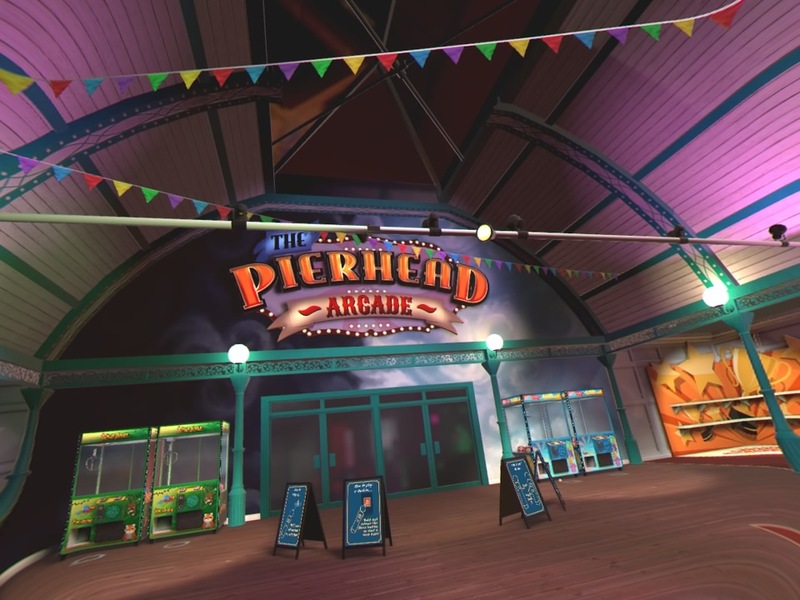 The Pierhead Arcade game feels solid and for the first time in VR that we get a complete funfair/arcade/carnival package which doesn’t feel like a rush job or anything, OK graphics and sound bundled with a decent control scheme mean that my son loved it (the crane/claw machines is his favourite) and the free coin system works great too. 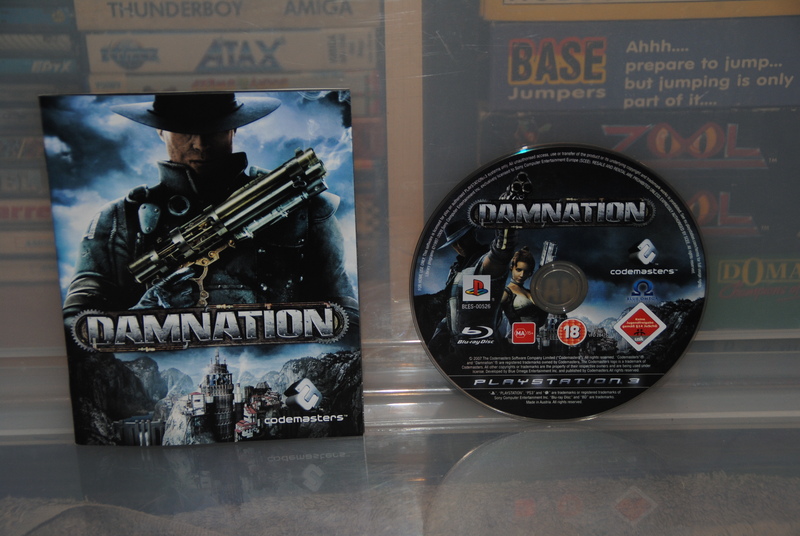 The game won’t keep you occupied for weeks or anything but it is one of those games that you can pick up and play between others and have some fun with, the trophy list will make you sweat a bit but nothing that ain’t doable for most people out there. It’s such a pity there’s no one around in that arcade. It looks so empty and loneliness. It would have been a blast to have a greater sense of presence.